Viewing 15 of 15 items. 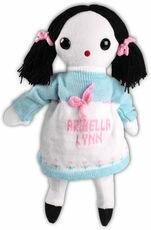 A soft, pretty doll wears a personalized knit dress which features your child's name. You select hair color, dress color, lettering color and trim design. Doll is approximately 20 inches tall. 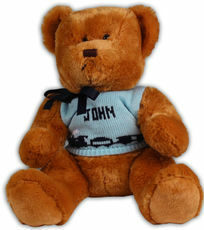 Dress..
An adorable plush stuffed moose wears a personalized knit sweater which features a name and an optional design. Great for a Camp gift, holiday gift, Graduation gift, sibling gift and much more! 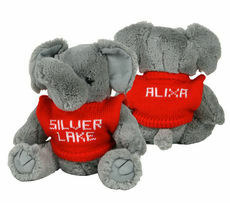 You..
An adorable plush stuffed Elephant wears a personalized knit sweater which features a name and an optional design. Great for a Camp gift, Graduation gift, holiday gift , sibling gift and much more!.. 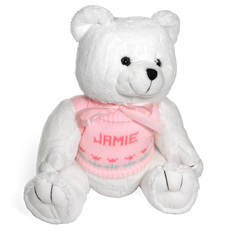 An adorable plush stuffed panda wears a personalized knit sweater which features a name and an optional design. Great for a Camp gift, Graduation gift, sibling gift and much more! 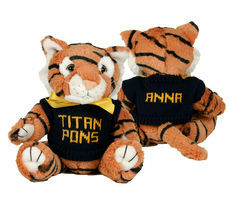 You select sweater..
An adorable plush stuffed Tiger wears a personalized knit sweater which features a name and an optional design. Great for a Camp gift, Graduation gift, sibling gift and much more! 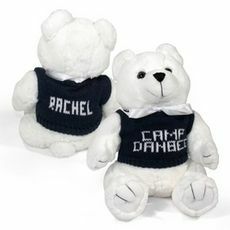 You select sweater..
An adorable plush stuffed dog wears a personalized knit sweater which features a name and an optional design. Great for a Camp gift, Graduation gift, sibling gift and much more! You select sweater..
An adorable plush stuffed Owl wears a personalized knit sweater which features a name and an optional design. Great for a Camp gift, Graduation gift, sibling gift and much more! You select sweater..
An adorable plush stuffed lion wears a personalized knit sweater which features a name and an optional design. Great for a Camp gift, Graduation gift, sibling gift and much more! 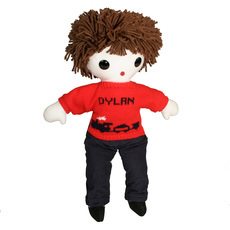 You select sweater..
A soft boy doll wears a personalized knit sweater which features your child's name and pants. You select sweater color, lettering and design color, pant color and trim design. 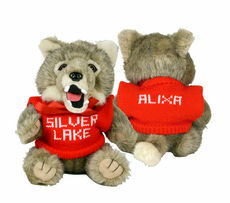 Doll is approximately..
An adorable plush stuffed wolf wears a personalized knit sweater which features a name and an optional design. Great for a Camp gift, Graduation gift, sibling gift and much more! 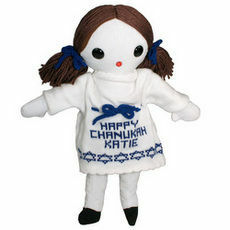 You select sweater..
A soft, pretty doll wears a personalized knit dress which features Jewish Stars and your personalization. You select hair color and dress color. Doll is approximately 20 inches tall. 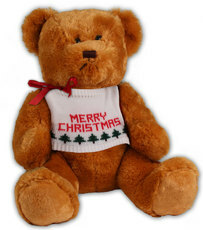 Dress is..
A cuddly bear wears a personalized knit sweater which features Evergreen trees and your personalization. Your choice of bear color. Bear is available in two sizes. Sweater is removable and can be..